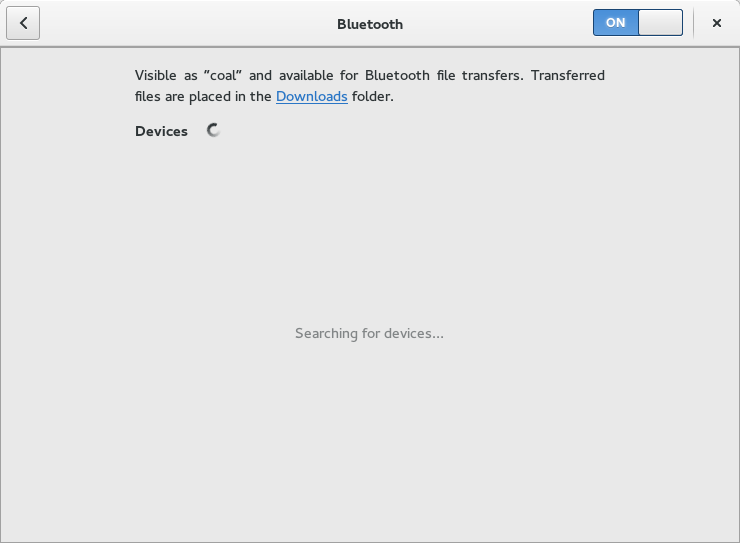 As I'm known to do, a focus on the little things I worked on during the just released GNOME 3.18 development cycle. The accelerometer support in GNOME now uses iio-sensor-proxy. This daemon also now supports ambient light sensors, which Richard used to implement the automatic brightness adjustment, and compasses, which are used in GeoClue and gnome-maps. In kernel-land, I've fixed the detection of some Bosch accelerometers, added support for another Kyonix one, as used in some tablets. I've also added quirks for out-of-the-box touchscreen support on some cheaper tablets using the goodix driver, and started reviewing a number of patches for that same touchscreen. With Larry Finger, of Realtek kernel drivers fame, we've carried on cleaning up the Realtek 8723BS driver used in the majority of Windows-compatible tablets, in the Endless computer, and even in the $9 C.H.I.P. Linux computer. 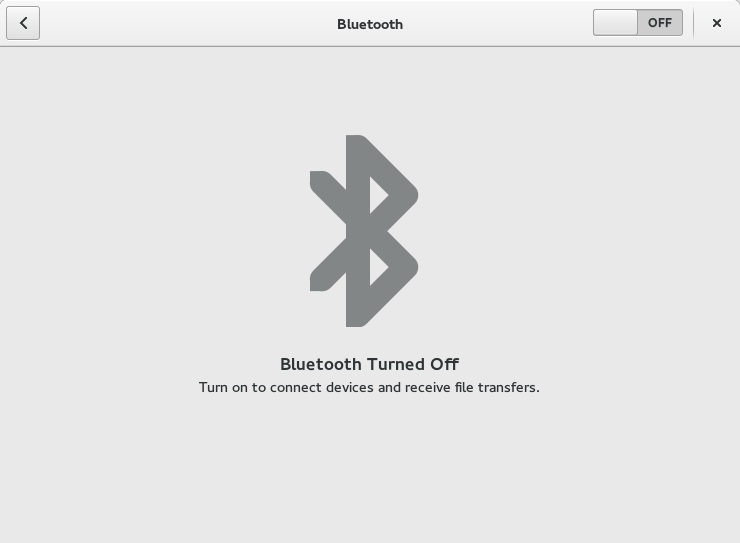 The Bluetooth panel now has better « empty states », explaining how to get Bluetooth working again when a hardware killswitch is used, or it's been turned off by hand. We've also made receiving files through OBEX Push easier, and builtin to the Bluetooth panel, so that you won't forget to turn it off when done, and won't have trouble finding it, as is the case for settings that aren't used often. GNOME Videos has seen some work, mostly in the stabilisation, and bug fixing department, most of those fixes were also landed in the 3.16 version. We've also been laying the groundwork in grilo for writing ever less code in C for plugin sources. Grilo Lua plugins can now use gnome-online-accounts to access keys for specific accounts, which we've used to re-implement the Pocket videos plugin, as well as the Last.fm cover art plugin. 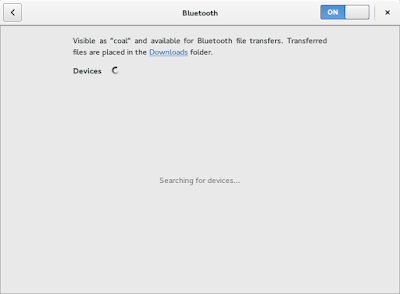 All those changes should allow implementing OwnCloud support in gnome-music in GNOME 3.20. You can call them features, or bug fixes, but the overall improvements in the Wayland and touchpad/touchscreen support are pretty exciting. Do try it out when you get a GNOME 3.18 installation, and file bugs, it's coming soon! Talking of bug fixes, this one means that I don't need to put in my password by hand when I want to access work related resources. Connect to the VPN, and I'm authenticated to Kerberos. I've also got a particular attachment to the GeoClue GPS support through phones. This allows us to have more accurate geolocation support than any desktop environments around. The LibreOfficeKit support that will be coming to gnome-documents will help us get support for EPubs in gnome-books, as it will make it easier to plug in previewers other than the Evince widget. Victor Toso has also been working through my Grilo bugs to allow us to implement a preview page when opening videos. Work has already started on that, so fingers crossed for GNOME 3.20!